MOSTYN, Wales UK is delighted to announce the call for submissions for the 21st anniversary edition of the MOSTYN Open contemporary art exhibition, to be shown from July 2019. Since its inception in 1989, the MOSTYN Open has nurtured and presented the talent of established and emergent contemporary artists internationally. The exhibition of selected works takes place at MOSTYN, the foremost contemporary gallery in Wales, UK, with a cash prize of £10,000 awarded to a single artist or collective. In addition, the 'Audience Award' grants a cash prize of £1,000 to those who receive the most votes from visitors during the exhibition. The confirmed selectors for MOSTYN Open 21 are: Jennifer Higgie, Editorial Director, Frieze, London; Katerina Gregos, Independent Curator, Brussels; Alfredo Cramerotti, Director, MOSTYN. And of course, the visiting public for the 'Audience Award'. Visit www.mostyn.org/open21 for full details and Terms and Conditions. In collaboration with The Cambridge Shahnameh Centre for Persian Studies, Ephemereye announces an Open Call for Artists. The theme is Interpretation and appropriation of images and stories of Shahnameh. How do Persian classics influence or inspire visual culture in the 21st Century? What is changing in fashion, performance, or the art of moving image itself when it absorbs and appropriates ancient traditions? How does visual intertextuality enrich contemporary discourse? Whether you have some work related to the subject or feel inspired to make one, this is the chance to have it shown during the event. Artists are invited to submit their moving image work. Selected works will be included in the exhibition reel for the duration of the show, as well as featured on the official websites of The Cambridge Shahnameh Centre for Persian Studies and the Ephemereye, a video art platform and gallery. Please send vimeo, youtube, or other links to be considered. Selected artists will be required to send MP4 files. Name of the artist visible as a watermark in the lower right corner of the screen. Artist Grant provides a $500 USD grant to one visual artist each grant cycle. The deadline for the current grant cycle is 15 April 2019. We invite visual artists 18 and older from anywhere in the world to apply. 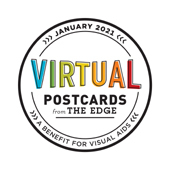 Visual artists working in the following media may apply: painting, drawing, printmaking, photography, sculpture (of any type of material), ceramics, mixed/multiple medias, installation, and other new or alternative medias. We regret that we do not accept submissions for music, theatre, or dance. To apply, email the following to submit@artistgrant.org: A link to your website OR 3-5 digital files of your work AND a CV, resume, or brief bio that includes your name. To all those working with sound, this unique forum offers an exceptional series of long-form presentations on the use of sound in film, theatre, dance, television, radio, games and installation. Sonic environments, sound design, sound as metaphor, human sound perception – the topics have ranged from the practical to the aesthetic to the metaphysical during these intense four-day meetings. 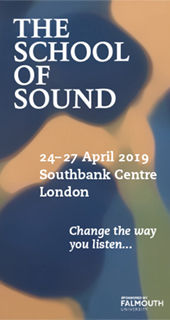 Each year, people from all aspects of the arts, media and audio-visual industries have gathered from over 40 countries to hear the speakers define and interpret their personal use of sound from both traditional approaches and radical new perspectives. Anyone working with sound will find the juxtaposition of ideas captivating and inspiring. Meet and talk to the speakers. 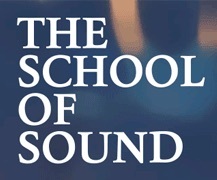 The School of Sound is designed not just for sound designers and composers but also for the directors, writers, editors and producers who must share in the creative thinking to use sound effectively and imaginatively. We’re interested in the ideas that go into great sound production. Come and learn to listen differently. April’s programme already includes renowned Hollywood sound designer Richard King (Dunkirk, Inception, Master and Commander); artist filmmaker and Turner Prize nominee Rosalind Nashashibi; film sound designer Paul Davies (You Were Never Really Here): animators the Quay Brothers (Street of Crocodiles, Institute Benjamenta); theatre director Sinéad Rushe; composer and radio writer Neil Brand; sound artist Nigel Helyer; ethnographic documentary filmmaker Rina Sherman, and neuroscientists Morten Kringelbach and Peter Vuust exploring jazz and improvisation. More speakers will be added in the coming weeks. Located in Upstate New York on the border of Vermont, Salem Art Works is a 120 acre sculpture park, community art hub, and artist residency. SAW offers three fully subsidized artist-in-residence programs between June and September for emerging, mid-career, and established artists of all disciplines. Each program (Young, Studio, and Fellow) provides artists with accomodations, meals, studio, facility access, a complimentary workshop, and opportunities for professional development. The Young and Studio artists participate in a work-trade while Fellows are given the entirety of their stay to develop their work. Residents have access to all of SAW’s facilities,which include; a glass studio, smithing studio, foundry, ceramics studio with anagama kilns, welding bay, stone carving bay, screenprinting studio, and woodshop. Salem Art Work’s mission is to provide a unique alternative arts learning/experimental environment to support artists in the creation of new and progressive work in addition to promoting the understanding and appreciation of contemporary art within the region. By providing an extensive set of facilities and support, these residencies enable artists to experiment and expand their current body of work, both materially and conceptually. Those who will most benefit from this experience are looking for the freedom, space, and resources necessary to both deepen and expand their practice. The Photography Master Retreat is a one-of-a-kind, career-enhancing opportunity for established and emerging photographers to engage in artistic introspection and professional critique. It’s not a shooting trip but a rare chance to pause, reflect on your work, and bond with peers who are passionate about photography. It is designed for a select group of 14 artists who have to apply. The Photography Master Retreat was founded in 2014 as an annual, one-week, immersive workshop in her family home by Martine Fougeron, herself a celebrated photographer and artist, as well as faculty at International Center of Photography, New York. She is one of the three mentors at the retreat. The other two are also renowned in the world of photography, Elisabeth Biondi, Visuals Editor, 1996-2011 at The New Yorker, also an independent curator and writer; Lyle Rexer, a critic and curator – both faculty at the School of Visual Arts, New York. The Photography Master Retreat 2019 edition will take place July 6-13, 2019 in the South of France, right after the opening week of Les Rencontres d’Arles nearby. BBA Gallery is located in the heart of Berlin and focuses on promising emerging artists. We are currently planning Vol. 4 of our format “EMERGING ARTISTS“. Therefore we are looking for 3-5 distinct artistic positions to present in a 3-weeks long exhibition at our gallery in April and May 2019, with a big Opening on Friday April 26 for the start of Berlin Gallery Weekend – Berlins biggest contemporary art event of the year. The exhibition will be accompanied by a catalogue. Amongst the exhibited artists the gallery will select one artist to be the winner of 1st prize. The winner will be awarded a cash prize of 500 € and will be fully promoted as a guest artist on the gallery’s ARTSY profile for 1 year.